Chronic inflammatory diseases primarily caused by dysregulation of the immune system include a broad range of pathologies affecting different organs and functions, such as musculoskeletal, gastrointestinal, endocrine and neurological diseases. The incidence and prevalence of inflammatory diseases, as well as their associated healthcare costs have been growing, and are expected to increase further in the next few years. The therapeutic approach to this class of diseases has changed dramatically in the last 20 years moving from a predominantly symptomatic treatment targeting affected organs to a therapeutic strategy targeting the underlying etiological mechanism with the purpose of inducing remission and preventing further organ damage. The knowledge of the crucial role of immunology and inflammation in the disease etiological processes has led to the discovery of multiple targets for anti-inflammatory treatment. Since apparently unrelated diseases can share the same inflammatory pathway, their treatment can take advantage of the same therapeutic agent exerting its action on the common altered mechanism. The clinical development of these types of medications requires a different approach. In fact, due to a potentially broad spectrum of therapeutic indications for the same drug, planning clinical development requires informed decisions regarding the most adequate human models for proof-of-concept studies and the therapeutic to pursue in pivotal confirmatory studies. Executing trials in inflammatory diseases presents specific challenges common to this heterogeneous group across different therapeutic areas, including use of subjective measures and composite indices for disease evaluation, need for sensitive patient reported outcome (PRO) tools and for patient’s diary, and endpoint management. In addition, study investigators must control for a number of potentially biasing factors such as background therapy, placebo effect, variability in standard of care and disease severity, or strict control on eligibility of patients. Dr. La Noce serves as a medical expert for the Immunology & Inflammation therapeutic area within Syneos Health. She is a physician with a PhD in neuroscience with more than 27 years’ experience in clinical development in different therapeutic areas, with a focus on immunology and inflammation indications. She has been involved in rheumatoid arthritis clinical programs of biologics or small molecules since 2006, including various biosimilar products as well as in lupus and psoriasis clinical programs. Dr. La Noce has published numerous peer-reviewed articles and is currently a teacher in the Master of Preclinical and Clinical Research and Development of Medicinal Products program at the University of Milan, Italy. Marcin Ernst has more than 17 years of experience in clinical research, including 14 years with a contract research organization (CRO) in various positions. Dr. Ernst also has 4 years of experience in the hospital setting, having worked as a general and cardiac surgeon, as well as 3 years of pharma experience managing rheumatology studies. Dr. Ernst has been leading the Immunology & Inflammation group at Syneos Health for over 6 years, and is responsible for global delivery of all projects in this therapeutic area. He oversees a large portfolio of studies in indications like rheumatoid arthritis, systemic lupus erythematosus, psoriasis and gout. He has also worked on biosimilars over the last 6 years as a member of the Biosimilars Consortium, devising global development strategies, designing study protocols and overseeing study delivery in this field. He also has experience in orphan indications. 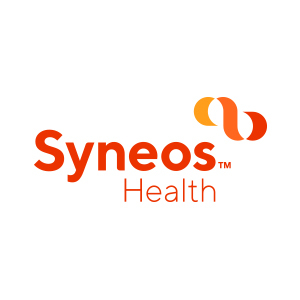 Syneos Health™ (Nasdaq:SYNH) is the only fully integrated biopharmaceutical solutions organization. Our company, including a Contract Research Organization (CRO) and Contract Commercial Organization (CCO), is purpose-built to accelerate customer performance to address modern market realities. Created through the merger of two industry leading companies – INC Research and inVentiv Health – we bring together more than 23,000 clinical and commercial minds with the ability to support customers in more than 110 countries. Together we share insights, use the latest technologies and apply advanced business practices to speed our customers’ delivery of important therapies to patients. To learn more about how we are shortening the distance from lab to lifeTM visit SyneosHealth.com.